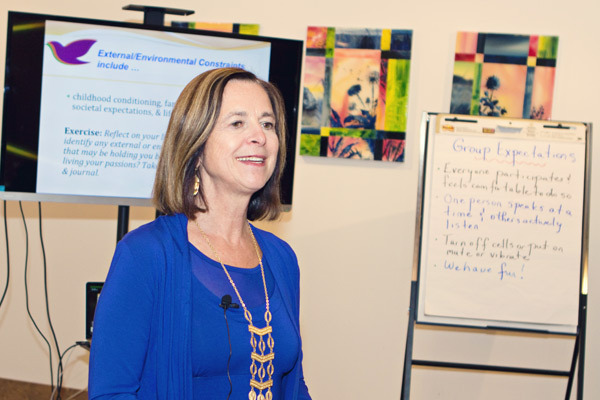 To support you and your team as you navigate change I’ve designed an experiential workshop on “Embracing Change” that many of my clients find helpful as they embark on new projects, create new strategic plans and initiate change processes. The Art of Change Framework and process can be facilitated with a team or organization embarking on a new project or new leadership. It is also recommended at the beginning of any strategic planning process, or other change process. Research shows that our personal beliefs about change and how we respond to it affect our performance as leaders, impact our organizations, and also affect the success of new programs and projects. Bernadette Allen, President, The Competency Group Inc.
Get in touch to explore whether “Embrace the Art of Change” is a good fit for you, your group or organization.